The construction industry is fairly time sensitive. The coordination of teams and schedules depends on many external factors. Project managers cannot undermine the time pressure for sensitive jobs like laying of concrete or weather conditions like rain/sleet. Even with a tight hold on project sheets the primary resource to manage is your team! Tools like data surveying can be integrated directly into building information modeling programs and even drive construction machinery on site. Mobile construction applications make it easier for employees to stay in touch, connected and productive wherever they are. Self-driving drones are now helping site worked reach high-risk areas for assessments. But the primary resource for any construction team are the people! Companies must ensure that staff is provided with suitable work environments that encourage productivity and build a good work culture in the team. Clarify the work culture by defining the core values of the company. Clarity on your organization’s values means you are openly expressing things that are important to you about how you conduct business and interact with each other – and then figuring out how to live those values. It is important to balance aspiration with feasibility – this means that you can pick values that are not yet fully embodied in your organisation but you are working on including them in the near future. If your values are not practically defined, they will not build a good cultural foundation. Writer Erika Anderson in her article for the Forbes gives a simple exercise for this “…complete the following sentence as a way to start talking about [their] values: We care deeply about________; it’s how we want to do business.” This will help you understand and define your values clearly. Anderson says “In one company, our clients realized that some of the elements they had defined as values were really rules of conduct – one was “Be punctual,” another was “Don’t blame others”; they ended up deciding that the value underlying both was Accountability – and that became one of their four values.” Be prudent about your selection, stick to four or five core values for your business. These will the guiding lights for the work culture you want create. 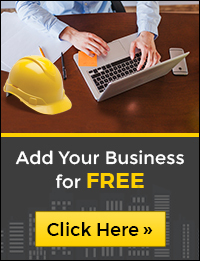 Construction businesses are often known to have a very traditional work setup. Rigid hierarchies and traditional systems are extremely unattractive to dynamic young employees. Many construction companies are now applying varied techniques and tactics to encourage productivity and build a good work culture in the team. If you are also looking beyond traditional boundaries for your construction team, then these ideas and methodologies are worth considering! The construction industry accounts for more than 8% of Australia’s GDP. Like all businesses, the construction industry is working towards improved processes and business efficiencies. Construction projects are complex and have many stakeholders – it is important for project management to follow proper processes and be ready for all kinds of challenges. A good construction project management plan will always have thoroughly identified risks and a risk management plan. Risk management is the identification, assessment, and prioritization of risks. The objective of risk management is to assure uncertainty does not deflect the endeavor from the business goals. Address risk early in the project to reap its full benefits. Communicate with other team members throughout the project. Implement a rigorous risk assessment and mitigation process. Embed risk management into your firm’s culture. Engage in activities that reduce the likelihood of litigation. Build a strong project team and assess the value of more formal collaboration, such as integrated design. Ultimately, the report states “good project management must include good risk management”. In this post, we discuss the top technology tools that can help you in managing and mitigating risks on construction projects. Risk management tools and techniques can be used at various stages of construction – from concept design to final site execution and even in the operation stages to determine whether business goals are being met. Have you ever wondered how are the amazing looking skyscrapers made? Who designs them and how could they build it that high? These are the questions that often spring up in our mind when we see buildings and skyscrapers. These buildings are a result of cumulative efforts and hard work of a group of people, the entire construction team. Each of these people have their own separate teams. So, we’re talking of a real big team involving hundreds of individuals specializing in various fields. When a construction project comes up, the first step is conceptualization and design development followed by procurement, assembling of labor force and so on. But there are many in-between steps that are a part of this process. First of all, for the project a construction manager is appointed. This person is someone who has years of experience in the field of construction and is well-versed with the various processes involved in constructing any structure. A construction manager oversees the entire process from beginning to the handing-over of the building to the client. As the dimensions, design preferences, construction technology and technicalities of buildings and construction projects started changing over the years, need for construction management arose. The varying complexity levels of a construction project create a need for that one person who can oversee the entire project. Hence a construction manager is the pivot of the building project. Working under him are design manager, quantity surveyor, planning engineer, project document controller, construction scheduler, contract manager etc. Each of these personnel have their roles predefined and they have to report to the construction manager. The construction manager therefore updates the client accordingly. All of this has to go in accordance with certain guidelines that have been laid down for construction projects. A builder or construction company has to submit a set of plans for construction process that they will follow in the building project they are working on. These plans consist of details related to construction work and proposed demolition if required. If these plans pass the Construction management guideline and templates, the project can be taken to the next step. ProjectLink has a collection of companies that not only give you various construction related services like building project management, design development, specialised construction services etc but services that comply with the construction management guidelines. To understand these guidelines and templates better, let’s go through each one in detail. Construction management guidelines are a set of suggested rules that have to be followed by the builder and construction managers while working on a construction project. These guidelines are predefined and at the conceptual stage of a project the suggested procedures to fulfil these rules have to be submitted. These recommendations make it easy to sail through the stages of construction, widely distributed into five sections: Initiation, Planning, Execution, Performance and Monitoring and Closure and Handing-over. The requirement for a detailed plan submission for the above is largely based on the type of construction project, probability of disruptions, how it will affect the local resources, risks or dangers involved, future management of traffics etc. As a part of construction project management, the safety of general public near the construction site is an important point to consider. The construction manager has to list down strategies to present a secure and safe construction site for workers as well as the general public who live near it or pass by. Issues such as occupation of space on street or footpath, cleanliness of the building site, erecting a hoarding, road opening and closing permit, use of travel tower, mobile crane or lift etc. are covered under this guideline. Permits are required for these. Unless the manager gets the permits, work cannot progress. The construction site is required to be secured using a fence and a barrier or hoarding informing the general public about the construction has to be put up. Fencing is necessary as during excavation or construction danger to life or property is avoided. Raw material should be stored properly to avoid accidents or unsightly dispersal. It is essential to lay down the working hours before beginning work of a construction project. The operating hours would be different on the weekends and offs on holidays have to be considered. The impact of noise and vibrations being produced as a result of construction process has to be limited keeping in mind the likely damage to nearby buildings. Under certain conditions, the prescribed hours may change. Location of the construction site, urgency of work, traffic management, noise reduction requirements, safety of workers or public etc are some of them. Construction management deems it necessary to check the causes of possible pollution to air. Specially if the project is being undertaken at a populated site, the quality of air has to be maintained at levels that are acceptable. It is the duty of the construction manager to make sure that the levels of dust and pollution remains in acceptable limits throughout the duration of construction. Dumping of loose material or arising of dust because of vehicles should be minimised. Measures such as waste management, watering the driveways and ensuring that these measures are taken when work is not happening on the site have to be looked into while planning for a construction project. This guideline covers the prevention of contamination of waterways and stormwater drains. There are chances of sedimentation of drains during construction work. Proper measures have to be taken in order to prevent this. Water retention at the construction site may pose a threat to the structure as well as the workers. This water has to be pumped out. Sediment filters such as straw bales filters, gravel surface barriers, geo-textiles mesh, sandbags etc are required to be used. The construction technology employed for a project have to be selected according to the surroundings and weather conditions prevalent in that area. With the increased awareness and gradual depletion of resources, the need to reuse and recycle arises. This guideline is laid to ensure a proper use of resources whether through waste management or recycling. If there is a production of waste material during certain processes then it has to be stored on site until removal. No physical or health-related threat to the workers or general public must occur. Building project management covers waste management. Steps such as using environmentally approved products, recyclable materials, avoiding over-estimation of purchasing resources should be taken. When big construction projects are undertaken, a lot of planning goes into controlling the public and traffic movement. Minimisation of traffic disruption due to construction activities is the focal point of this guideline. Safety of the pedestrians and vehicles in and around the construction site is essential. Usually permits for space occupation of road or footpath in populated sites is required. The sites require inspections during the day as well as night. Based on these inspections, the traffic management plan is laid out and proposed. Issues such as speed zones based on times, road safety, pedestrian crossings etc have to be considered. Construction project management caters to the overall construction procedures in accordance to these guidelines and templates. The construction managers are required to take permits essential for the project in order to have the project completed and handed over to the client in time. Many companies provide such services. There are software available to make the working easy for the same.